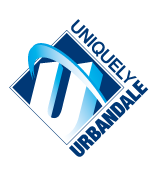 The Urbandale Community School District recognizes the importance of ongoing learning opportunities for students. As such, the district may offer summer school instruction. Summer school may be conducted in such buildings, in such grade levels, and for such lengths of time as the Board, upon the recommendation of the Superintendent of Schools, may determine. Remedial work for those pupils who need and can profit from further study in the basic subjects. While the district currently offers summer school each year, the Board, upon recommendation from the superintendent, may offer summer school for one or more courses and student activities for students who may need additional help and instruction or for enrichment in those areas. Upon receiving a request for summer school, the board will weigh the benefits to the students and the school district as the school district’s budget and availability of licensed employees to conduct summer school. The District shall charge a fee for enrolling in the summer school program which shall be in an amount necessary to reimburse the District for the costs of the program. If a child, who is eligible for special education, has been determined to need extended year services as necessary to receive a free appropriate public education, as determined according to state and federal law, such services shall be provided as described in the child’s individualized education program. In additional instances as provided by law.